#1: Back to Basics, Part One | DC2: New Adventures of DC's Heroes! Issue One: "Back to Basics"
I don’t remember every aspect of that night, only that it was the night my life truly began. The snow fell through the air like a thick curtain of cotton, covering everything in its soft, yet chilled embrace. It had started with a light dusting, nothing to worry about and for that very reason, Martha and Jonathan had not thought it was important to leave the Ridley’s house. The beer, food and company had been a nice distraction from the news that Martha could not have children. It had been a devastating visit to the doctor, but she hadn’t wanted to cancel. Before they knew it, the roads were covered with snow and it was coming down worse than it had in any year on record. They should have waited until morning, but though the distraction had been nice, grieving was still required and Jonathan knew that Martha would need a good cry before falling asleep. Taking it slow, the few miles he would need to drive would be fine. He was practiced at looking beyond the snowflakes as they flashed in and out of the headlights, but not practiced enough to miss the streak of flame across the sky and the roar that ripped through the sound of country music on the radio. Their truck shook as the comet, meteor, or whatever it was crashed into one of their nearby fields. He was almost driven off of the road, but through no minor struggle, gained control just before they landed in a ditch. “Jonathan, look.” Martha pointed to a reddish-orange glow and hint of smoke pouring from something that was not twenty feet off the road. He did look and didn’t know what it was or why he was compelled to venture closer, but he was out of the vehicle and trudging through the shin high dunes of white, Martha a few steps ahead of him. He was thankful that both of them were warmly clothed, but his jeans were quickly soaked through before he reached an area where the snow had been melted. He could feel the heat, as he moved closer and closer to the crater before him. He thought he would find a meteor, but instead there was a metal ship. The blue lid was raised and the sound of a baby crying pierced the night. The cries spurred Martha on. She ran faster, ignoring his pleas to be careful. She did not hesitate, reaching into the vessel. The metal should have burned her, but it was cool to her touch as she grabbed the baby. Jonathan looked in amazement as she came towards him. “It isn’t green like a Martian is it?” he asked. It was in a ship from the sky, what else could it be but an alien. “Oh, hush, it is a cute little baby. We gotta get him home before he catches his death of pneumonia.” Martha walked past him and headed towards the vehicle, again, ignoring his protests. He had no choice but to follow after her. The sun beat down on the frozen land, but did little to heat it. Even on a summer’s day, the temperature was below freezing, though such concerns meant nothing to the figure gliding mere inches above the snow and ice. The clothes were nondescript, all white with a hood pulled tightly over the head. Hands hung limply as the figure moved in a direct path, heading straight for the edge of the glacier. With no slowing or hesitation, the figure dove off and into the freezing water below. There was no shock at the cold, he continued deeper until there was a slight inward curve of the ice. He followed it, ignoring the dancing light and dark blues that seemed to hide deep within the ice. Further down he dove, going under an edge to the ice and eventually rising up to break free from the water, into a cavern filled with unbelievable technology. He had arrived at the Fortress of Solitude. The effect was immediate, the robots stopped what they were doing and shut down. They sank towards the floor, hovering only a few inches. Lighting turned on, illuminating the inside of the fortress and all defenses were deactivated. The figure paid little attention and continued on, ensuring to float above the ground. He turned a corner and headed to the main console within the Fortress. He quickly manipulated the alien technology and within a few seconds, a man’s face appeared on the view screen. “I see you made it in, has every preparation been made?” the man asked. The figure bowed once more and waited as the transmission ended. A few slight key strokes and any history of the communication was erased. Turning, the figure glided back to the the edge of the water, whispering, “Astrelis,” before diving into the icy ocean. The droids activated, weapons at the ready. The lead robot swiveled its visored head and saw nothing. His internal scans did not show any signs of an intruder, though it was irregular to find himself in an active defense mode that he could not account for. He returned to the main room of the Fortress, logging the anomaly within his system before going back to standby mode. “Not when you are looking like a love-struck puppy.” She laughed. “By the way, did you tell your brother our news?” She was referring to their recent engagement. Clark took the last bite of his bagel before asking what she had planned for this morning. “You got a little…” he began, before reaching over and wiping a bit of raspberry off the side of her mouth. She grabbed a napkin and did a quick once over before taking a last swig of her coffee. Clark took his final gulp as well and left a tip, before standing up. Clark smiled, turned away and strode into a nearby alley before moving faster than anyone could see and changing into Superman. Then he took off into the air, heading for S.T.A.R. Labs. 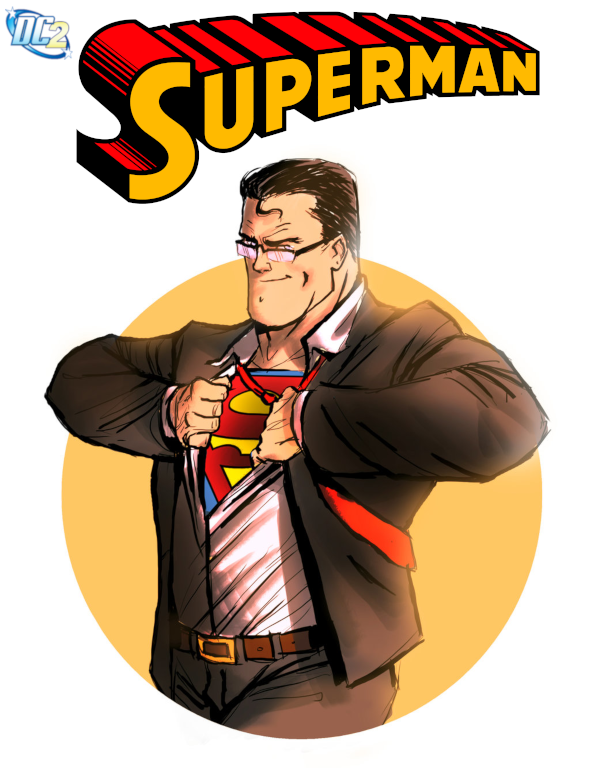 Clark Kent entered S.T.A.R. Labs, straightening his tie before walking to the front desk. He smiled at the receptionist, grabbed the pen and began signing when Emil Hamilton entered. “Aww, Mr. Kent, you’re here, yes, just in time, just in time.” He grabbed Clark’s arm and ushered him away, not letting him finish the sign-in process. “But...” Clark began, before being interrupted by Emil. Emil pushed him through the door into a viewing room that looked out over a large cylindrical device. “I will let the good doctor fill you in,” Emil said. “Must hurry, too much to examine.” He mumbled as he left the room. Clark just shook his head. Typical Emil, a million thoughts in that head and all fighting for attention. “I understand, and the Planet is interested in any new scientific innovation, but I am still unclear about this particular device. Information has been hard to get,” Clark said, pointing out past the observation window. “Yes, Dr. Faulkner,” the assistant replied. He glanced around and lowered the shielding down to 20%. Clark turned to look at the assistant, finding the voice familiar, but he only caught a quick glance of him as he exited the viewing room. Maybe just a tech that had been around Emil when Superman was visiting; he pushed it out of his mind. Kitty sat down next to him, a tablet in her hand. “Are we ready, Mr. Kent?” she asked, waiting for his nod before starting the machine. It began quietly. At first, it seemed as if nothing was happening, only a slight vacuuming sound could be heard, but then an orange glow began to fill the room beyond the glass. “Isn’t it beautiful?” she asked Clark. “Yes, yes it is,” he replied, mesmerized by the shifting yellows, reds and oranges that danced together within the structure. They melded with one another and then separated; one point of light could not be tracked as it changed and rippled inside the containment chamber, but it didn’t stop Clark from trying. He soon became hypnotized, the flits of light distracting him from everything until Kitty’s tablet began beeping. Dr. Faulkner looked down and saw a flash of red. “The shielding.” She seemed at a loss, not quite understanding what was going on. Clark looked at the tablet, then over to her a split second before an explosion ripped through S.T.A.R. Labs. Lois stood outside, on the steps of the Mayor’s office with John Henry Irons. Who had known that he would go from weapons designer to an armor-plated superhero, to Mayor. Lois surely didn’t, but she was glad that things had worked out for him. “I will,” Lois said as the cab took off. “Where to, Miss?” the cabbie asked in a thick southern accent. “The Daily Planet,” Lois said as she sat back in her seat. Looking back, Lois couldn’t believe that she had had a brief flirtation with John Henry Irons. It hadn’t lasted long, but it left a special place in her heart for him. It didn’t hurt that he was a great kisser, but then again, so was Clark. Lois shook her head; reminiscing about her tryst was not what she needed now. She was just glad that what her and John had, had turned into a friendship instead of ending badly. Being friends with the mayor also helped her get the inside scoop, and that was never a bad thing. “Something about an explosion at S.T.A.R. Labs,” the cabbie replied. “It’s your dime lady,” the cab driver said as he turned right at the next light and hit the gas. Clark attempted to wave the smoke and dust out of his face with no luck. Instead he scanned the room with his x-ray vision, seeing seven bodies. He could tell that one was dead and his shoulders drooped. He scanned around some more and realized that the explosion had ripped through the top and side of the building. He began to get up, and through the haze in front of him, he could make out the outline of a large figure. He didn’t remember anyone that tall in the lab and a nearly seven-foot-tall scientists would have stuck out. However, doing another quick scan, he realized that one of the seven bodies was missing; that must be the figure standing in front of him. The figure didn’t reply, but came closer. Clark took a step towards it and was caught unaware when a hand grabbed his face, picked him up off of the ground and threw him into a nearby wall. Clark could feel the cement give beneath his body. It had all happened so fast that he hadn’t had time to react. He quickly switched to his uniform in the haze and did a quick scan, but could not find the creature. Before heading out of the building, he listened intently, checking each of the remaining five living scientists. There were elevated heart rates, some ragged breathing from the smoke, but nothing life-threatening. Taking a deep breath, Superman sucked in as much smoke as he could and blew it out of the newly formed hole in the ceiling. It cleared out almost all of the haze. He checked again and saw that the survivors were all okay. He shook his head as he thought of the one casualty, then flew out of the opening above. He did a quick glance, but the creature was not hard to miss. It was just down the street, smashing the roof of a 2001 Subaru Legacy. It’s skin had an orangish-yellow hue and atop it’s head sat a red Mohawk. All of the colors that had been within the radiation collector, he thought. Superman flew toward the creature slowly. It, no wait, she, shook her head every few seconds before resuming the destruction of the car. He pivoted around her and landed on the other side of the vehicle. She had the tatters of a lab coat on and the name Faulkner was clearly visible. “Kitty?” he whispered, realizing that he hadn’t seen her in the lab when he had checked on the scientists. The creature looked up at him, eyes gleaming with confusion, that was quickly replaced with rage. Without hesitation, she lifted up the car and smashed it down on the Man of Steel. Her fists gave it one good pounding before she began walking down the street. Superman pushed the car off of him and got up. A crowd was already forming, phones out to capture the moment. He knew he had to get Kitty away from them, to ensure the public safety. He flew towards her, thinking that she seemed to be taller. She looked to be more like eight or nine feet now. As he sped past her, attempting to sow some confusion, she reached out and grabbed his left ankle, halting his propulsion. Superman looked back just as she grabbed his other ankle, raised him over her head and smashed him again and again into the pavement. The creature that was Kitty Faulkner began punching him over and over again, knocking concrete dust from his hair. He had braced himself, but he could still feel it. Superman had to end this quickly. He began hitting her back, hoping to knock her unconscious, but his blows seemed to have no effect. Instead, he switched tactics. Using both of his hands, he blocked her next blow, then did a flying backflip, kicking her in the jaw and following through with a powerful uppercut that sent her soaring into the air. That’s one way to get her away from the bystanders, he thought. He flew after her, knowing that he needed to catch her before she hit the ground. Even with all of the punches she had landed, Superman couldn’t believe how good he felt. Almost stronger and refreshed. It was an odd sensation after going toe to toe with a creature of her strength. Ahead of him, Kitty was beginning to descend. Superman flew behind her, wrapping his arms under hers, to carry her down. As soon as he had her, she began to squirm, nearly wiggling free, but he tightened his grip. She changed tactics and smashed her fists on each side of his head. “AHHHHHHH” Superman screamed as he let go of Kitty, his hands going to his ears, and ringing ripping through them. That hurt. He shook his head to clear it and saw Kitty falling towards Metropolis University. Lois jumped out of the cab just as the emergency service vehicles were arriving. She saw the crater on the roof and through one side of S.T.A.R. Labs. Her reporting instincts were already keyed up. The police wouldn’t know anything, since they were fresh on the scene, so she went to the nearest bystander. The student pointed up in the air. Lois followed his finger, using her hand to block some of the sun’s glare. Not too far in the distance, practically next door, she could see a figure falling and Superman flying down towards them. Superman was close to Kitty, but as he reached to grab her she kicked his hand away. He realized that this attempt may be futile. He backed off a little, taking a second to look down at the ground, but there was no one near where she was about to land. Good thing it was summer, or else the Metropolis University courtyard would have been packed with students. Kitty glared up at Superman as her body smashed into the beautiful brick designs that had been created nearly a hundred years ago. There was little movement at first, but then she began to stir. He floated down to her and waited as she began to get up. She looked over at him, her face a mask of rage, then leaped into the air. Superman was caught unaware. “Kitty!” he called out, then took off after her. She had been on one knee when she leaped, so did not have the proper posture to carry herself very far. Her arc took her further into the campus and as she touched down on the ground, she leaped even higher. Superman watched all of this, waiting until she was at the apex of her second jump and slamming his feet into her back, smashing her into the street below. A few cars honked, but no one was hurt. She continued to struggle underneath him and he realized he didn’t have much time before she threw him off. 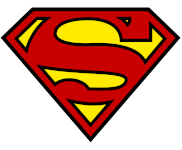 Superman lifted her off of the ground and wrapped his arms around hers, taking off into the air. She continued to struggle, but he held tight. Oddly, as her struggles continued they became weaker while he surged with energy. Kitty was shrinking as well, her energy going into him until her unconscious form lay in his arms. The orange giant was gone. Her energy now coursed through Superman, it made sense now. He absorbed solar energy and Kitty had been powered by it. He felt the power in every atom of his body, more than he could handle. It caused him pain, but he didn’t have time to discharge it now; he needed to take Kitty back to S.T.A.R. Labs. He flew back to the scene of the explosion, setting Kitty down on a gurney near Emil. “Oh, Superman. What are you doing with Kitty?” Emil asked. “I’ll be fine. Once everyone is okay, I will fly up and discharge the extra energy,” Superman said. Superman nodded and watched the ambulance drive off. He turned around when he saw Lois coming toward him. Superman’s expression darkened, even one life was too much to lose in a senseless accident. Then he collapsed onto one knee, his hands wrapping around his body as a groan escaped him. “Cla-- Superman, what’s wrong?” Lois asked as she grabbed his arm to stop him from falling all the way down to the ground. Lois looked at him again and stepped back. Superman prepared to take off when a policeman came up to him. Superman shot into the sky, hearing Lois telling him to be carful. He flew out over West River, racing towards the prison. If the attack had been recent, there may still be time to stop any inmates from escaping. He sped towards the prison. He could see some smoke rising from one portion of it, but the damage was not as bad as he had feared. In fact, it looked as if it had been a small operation. Closer and closer he got, scanning with his telescopic vision, suddenly pausing in mid-flight as the horror of the scene was displayed below. Before him he could see the dried-out husks and battered bodies of over ten guards. It was worse than he expected, much worse.